Flowers are great in almost any occasion, but the most prized by females in a relationship: "just because" flowers. If you think about it, just because flowers are never for no reason. You bought them because you're in love with the little things about your partner. From the way they say your name, to how they touch and kiss you, to how comfortable you are with them. Just Because"gifts are one of the ultimate forms of expressing your love - especially with flowers. If you haven't picked up a pair of flowers out of the blue for your girlfriend or boyfriend, then you're behind. There's no better time than the here and now. "Just Because" flowers often do best when they're a surprise. You don't want your partner to suspect anything, that way it's much more romantic and seemingly out of nowhere. That's why you should choose LolaFlora to help deliver your flowers. 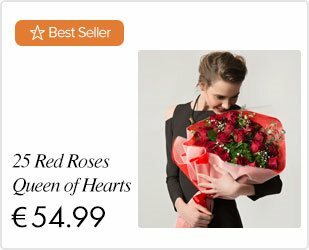 LolaFlora is an online florist that makes sure to get you the desired flower arrangement that you want for that special someone you love. There's saying you love someone, but words only carry you so far. The best way to say "I love you" is by showing it. There's no better way to show someone how much you love them by surprising them with flowers. LolaFlora makes giving a just because gift incredibly easy. 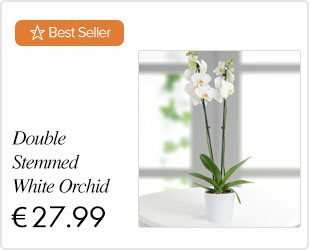 All you have to do is choose one of our amazing, colorful and bright flower arrangements online and expect it at the door of your lover incredibly soon. Choose the most beautiful flowers to surprise your girlfriend, boyfriend or spouse here with us at LolaFlora.